Lock lips and land some smooches this St. Patty's season with our Kiss Me I'm Irish Beads! 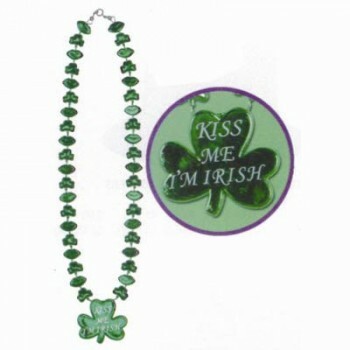 Green 55cm plastic necklace with "Kiss Me I'm Irish" logo and shamrock leaves! Just the accessory you need for St. Patrick's, parties, parades, and other fun productions and festivities!